Transport yourself back in time and relive the Pesach miracle. 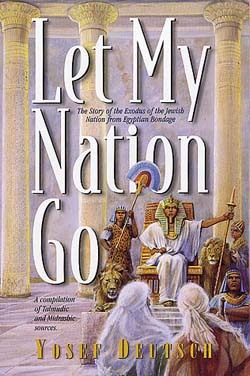 This dramatic, vivid narrative tells the story of the slavery in Egypt, and the wondrous Exodus we experienced, in a captivating, novel-like style, based on Talmudic and Midrashic sources. Here we witness the harsh decrees, the miracles of the Ten Plagues, the thunderous splitting of the sea, and the entire Passover saga. Extensively researched and annotated.